Our Physiotherapy team offers intensive and individualised treatment programmes for participants with a variety of conditions including neurological and orthopaedic movement disorders. Rehabilitation can be undertaken individually or as part of a group to support long-term goals of safe balance, mobility, strength, and function assisting with a smooth transition back to home and community. 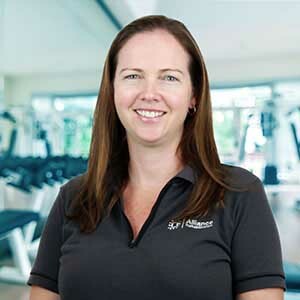 Physiotherapists at Alliance Rehabilitation are registered with the Australian Health Practitioner Regulation Agency (AHPRA), the national accreditation body. AHPRA members are regulated to ensure clinicians maintain current practice that is supported by the latest evidence-based practice. Assessment and treatment of disorders affecting functional movement as a result of neurological (e.g. stroke, spinal cord injury, Parkinson’s Disease) or orthopaedic (e.g. total hip replacements, fractures, osteoarthritis) conditions. This includes muscle weakness and atrophy, impaired mobility, balance, and coordination, falls risk, poor endurance and cardiovascular fitness, and pain. 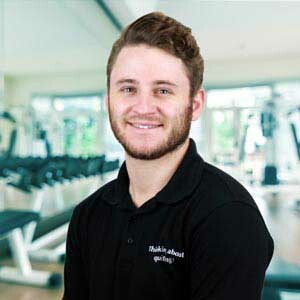 Gait training and standing programs in order to prepare for walking, specifically working on balance, lower extremity orthotics, artificial limb fitting and training, muscle re-education and motor control. Assessment and provision of mobility and functional equipment such as walkers, walking sticks, tilt tables and standing frames and wheelchairs for participants who require assistance to safely move around in their home and/or the community. Physiotherapy offers services to optimise the individuals’ capacity for safe and functional movement within the home and community. Education and training of family and carers to support good habits and rehabilitation strategies at home, especially with home programs, which is a large key to recovery. This can include bed mobility and transfer training, and wheelchair mobility. Contribution to admission and discharge planning as part of the Alliance Rehabilitation team to ensure a holistic approach during intensive treatment, and ongoing support and continuity when services cease. My special area of interest lies in Neurological Rehabilitation. I find this work to be both challenging and rewarding. I have spent several years working in disability support, and am passionate about helping people with a wide variety of physical and intellectual impairments to achieve their goals. I am passionate about advocating for the individual. I also have an interest in paediatrics, hydrotherapy, and work health and safety practices. I put a strong focus around participant-centred goal setting to enable my participants to get back to completing meaningful tasks within their community.